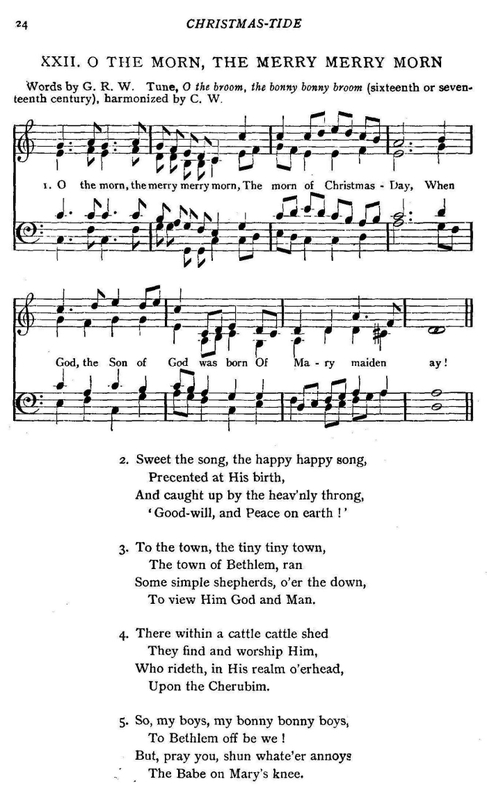 Source: Charles Wood and George Ratcliffe Woodward, The Cambridge Carol-Book, Being Fifty-Two Songs For Christmas, Easter, And Other Seasons (London: Society for Promoting Christian Knowledge, 1924), #22. To view Him God and Man. To Bethlem off be we! The Babe on Mary's knee.